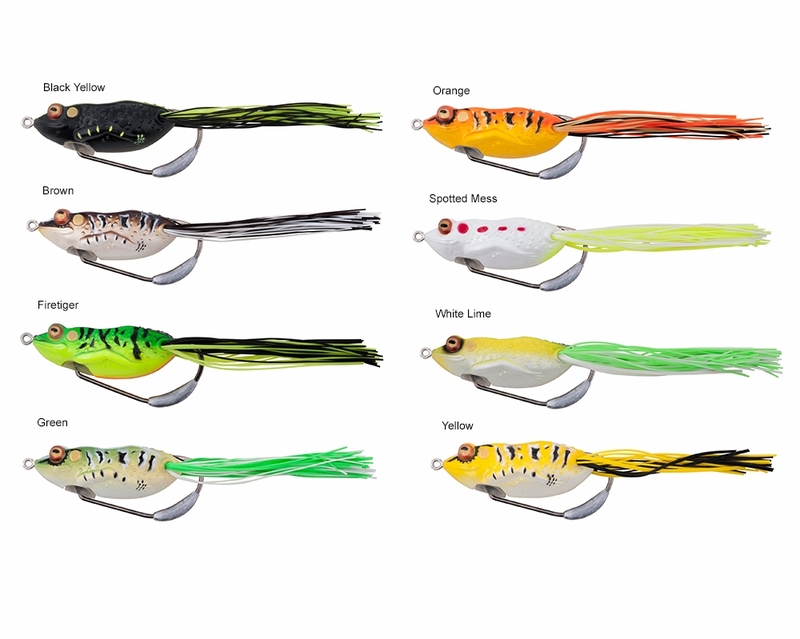 The Sebile Pivot Frog is available in a 2 1/2" size and 8 color options. 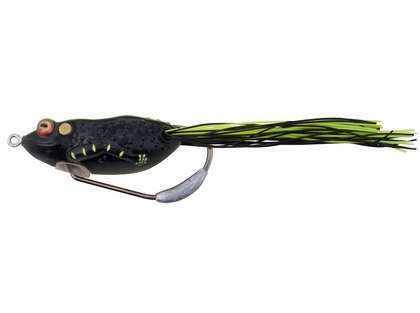 This lure brings some much needed innovation to the hollow frog category. It features a soft body designed to collapse for maximum hook penetration. This lure uses the Gravity Hook System. This system is a pivoting single wide-gap hook. This pivoting system allows the hook to freely rotate position. This enables fewer snags and increased hook-ups and landing ratios. 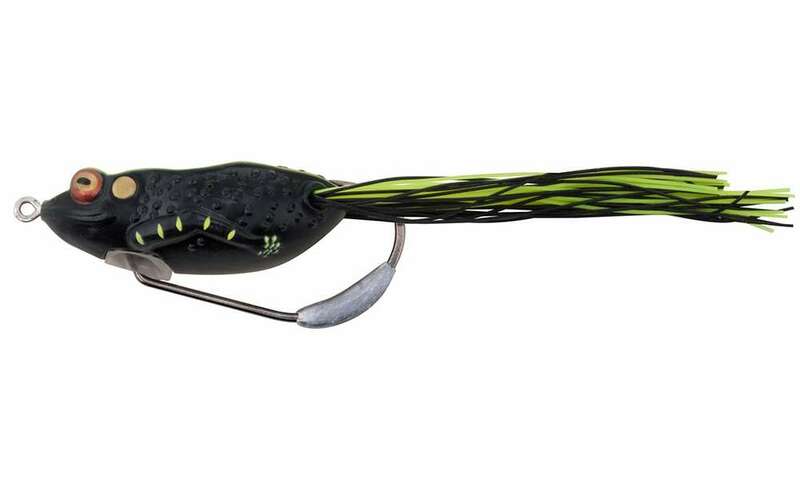 Two hook systems are difficult to hook bass on but the Pivot Frog focuses all of the force applied by the angler on one hook point. Ideal for fishing in open water and in the slop, working the bait between pads while pausing intermittently.